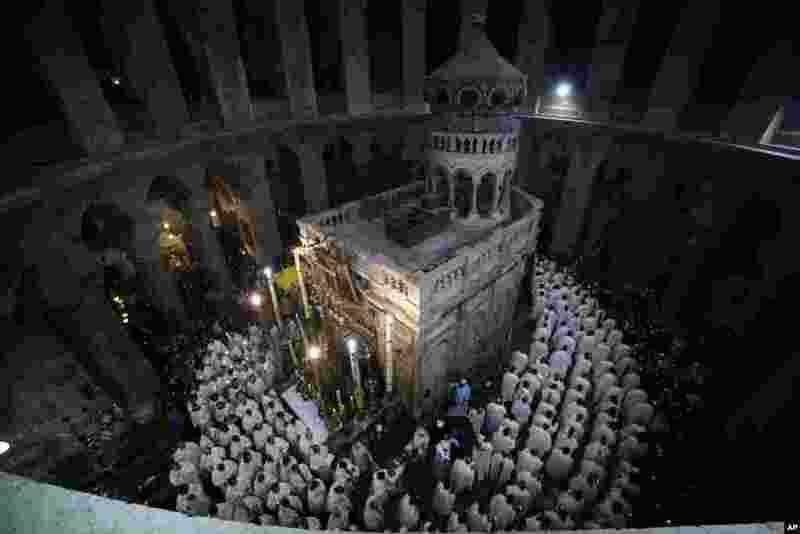 ٥ Catholic clergy walk during the Washing of the Feet procession at the Church of the Holy Sepulchre, traditionally believed by many Christians to be the site of the crucifixion and burial of Jesus Christ, in Jerusalem. 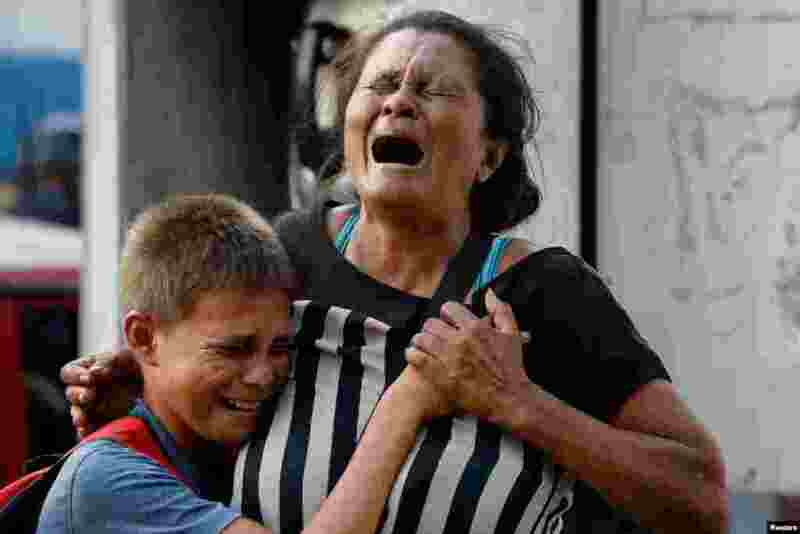 ٦ Relatives of inmates cried at the General Command of the Carabobo Police as they wait outside the prison, where a fire occurred in the cells area, according to local media, in Valencia, Venezuela, March 28, 2018. Rioting and a fire in the cells of a police station in the central city killed 68 people, according to the government and witnesses. 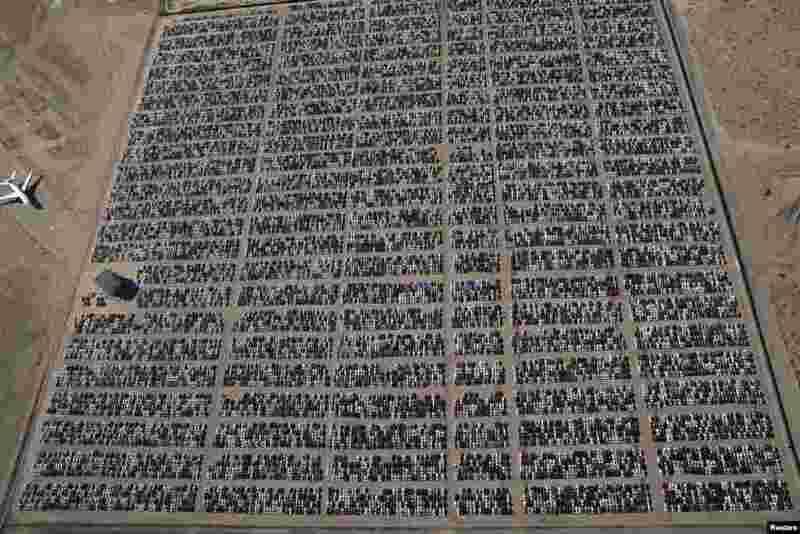 ٧ Reacquired Volkswagen and Audi diesel cars sit in a desert graveyard near Victorville, California, March 28, 2018. 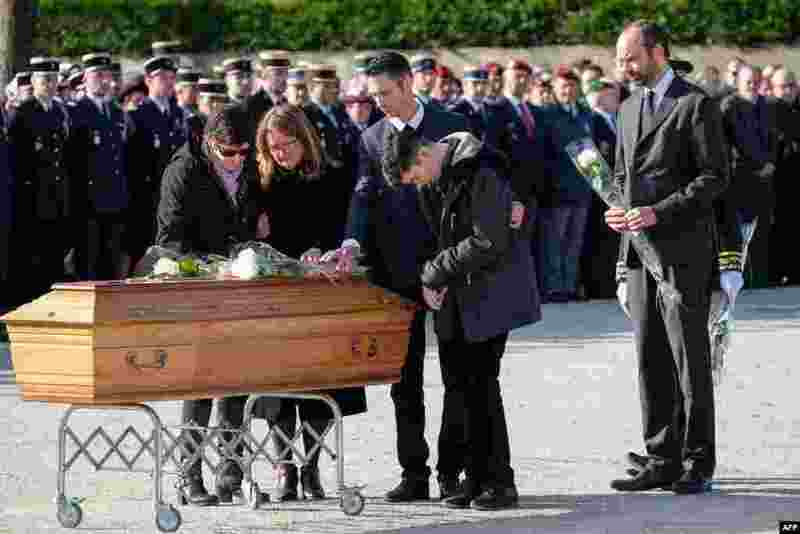 ٨ French Prime Minister Edouard Philippe (R) holds a white rose to lay the coffin as he watches family members pay their last respects during the funeral service for the three people killed in a terrorist attack in the town of Trebes.